The comedian and the actor had an Instagram live together at 4 am and it was a fun-filled interaction. Ranveer Singh and Tanmay Bhatt. 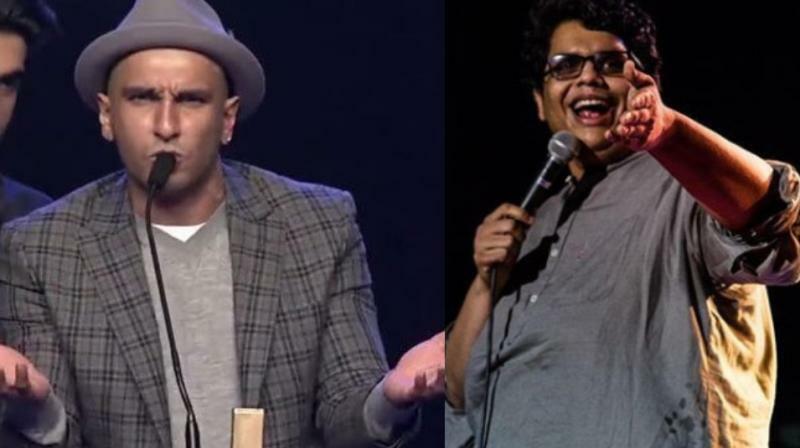 Mumbai: The famous or rather infamous AIB Roast might have been officially pulled down, but most of us have watched it before or after the controversy and thoroughly enjoyed it. Some of the members got into legal trouble for ‘using obscene and abusive’ language and the case is still on, but two participants from the controversial show recently came together again and it was hilarious this time too. One comedian of the popular creative team, Tanmay Bhatt, called Ranveer Singh on Instagram live at 4 am and it was almost like a TV interview, only that there were no filters but unabashed bonding, expletives, revelations and more. But Tanmay complains about him not replying to his messages and then gets slightly emotional talking about the bond they share and how this was only to pull his leg, but he has always liked the actor’s warm and affectionate behaviour towards him. Tanmay then wondered how people aren’t losing their minds of the two biggies being on the same set, “I feel the same, like me and Rohit are souls that go back many lifetimes,” Ranveer responded. The topic had to naturally veer to the Roast show and Tanmay felt Ranveer has been on a tremendous rise since then, and the latter says, “Both of us are just getting started, why aren’t you doing another Roast?” “It’s in the works,” the former replies. Tanmay was embarrassed and his reaction is unprintable and hilarious. Tanmay was caught off-guard and actually started wondering if he could actually have it due to the actor’s mischievous nature. He then tells Tanmay, “Today is Monday and we want a Monday Motivation post from you, a shirtless picture.” There was more embarrassment for the comedian. “Man crush Mondays with Ranveer Singh,” Tanmay signed off.